So this will either surprise you or it won't: I don't like bicycles. I'm pretty afraid of them, actually. They require a lot of balance and control, and I never quite got down the "easy" tricks like popping wheelies or even only driving with one hand. So, I've simply avoided riding a bike since I was fifteen or so. Well, in February I decided to give them another try. 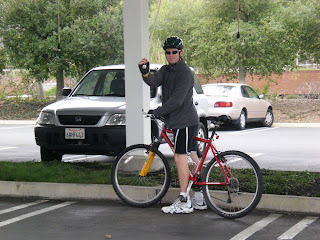 Jonathan and I went and rented a bike for me, and the two of us rode around Mountain View. 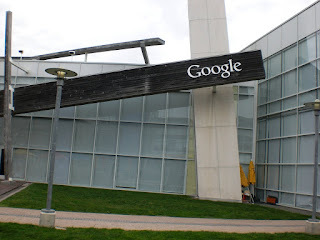 We took a commuter trail down near Google and Microsoft, then over the highway and into the woods near downtown. 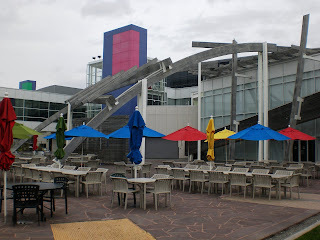 Google is a really big campus, and it's very colorful. 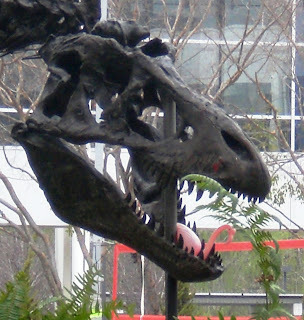 They also have a giant dinosaur skeleton, which for some reason has a pink flamingo in its mouth. 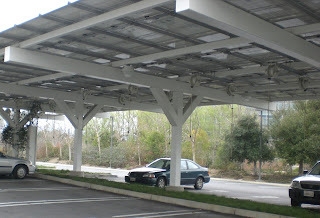 Google had these neat carports for those with electric cars. 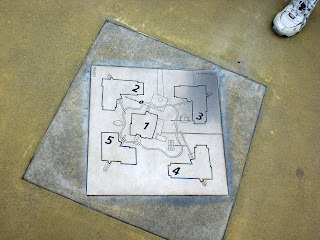 Microsoft had their maps on the ground instead of on placards or podiums. 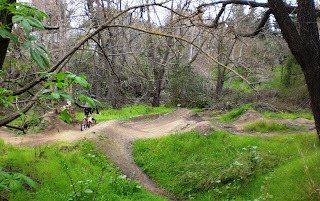 There's a few trails and a dirt course on the path toward downtown, and Jonathan had a little fun on it. We were out for two or three hours, and it was an interesting time. 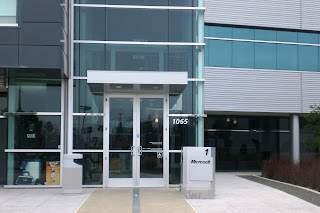 I didn't particularly enjoy it, although I must say that I adore the gears. My bike from when I was twelve had a bunch of gears, but they didn't all work, and they were a pain to shift. The bike I rode the other day (which was considered a hybrid between mountain and road) had little clickers, you pushed one way to go up a gear and there was a separate clicker to push that went down. Much simpler, much easier.